Anthony Bergin is deputy director of the Australian Strategic Policy Institute. Karl Claxton is an ASPI analyst. Cyclone Pam has hammered Vanuatu, killing at least 17 people and causing trauma to the 260,000 who were in the disaster zone when the category-5 cyclone struck on March 13. The cyclone is one of the biggest to traverse the region and the biggest experienced in Vanuatu since records began. More than half the population has been displaced. 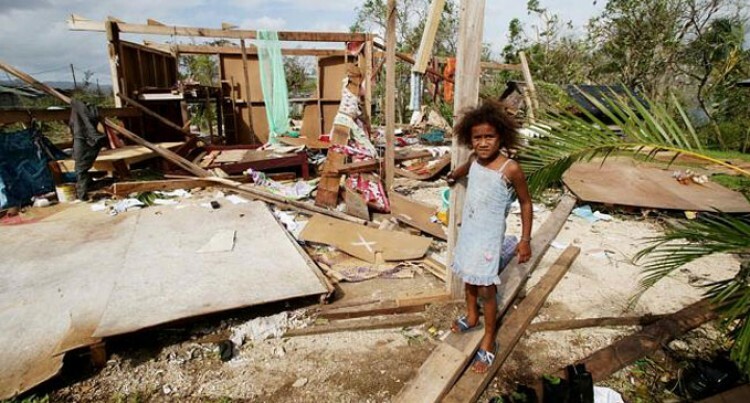 Other Pacific countries such as Tuvalu, Kiribati, and Solomon Islands have been affected too. The enormity of this event once again underscores the fact that the Asia-Pacific is the most natural-disaster-prone region in the world, with the island states in particular extremely vulnerable to cyclones, floods and earthquakes. According to World Bank figures, extreme natural events have affected more than 9.2 million people in the Pacific since 1950 and caused damage worth more than $3 billion. The Australian Defence Force is expanding its involvement in the response operations, delivering critical humanitarian aid and disaster-relief supplies, as well as providing aerial reconnaissance. It has the capacity to offer logistical support, medical care, damage assessment, engineering, supplies, communications and imagery. The ADF has a solid record of responding to these regional natural disasters. While most of these types of missions involve small numbers of military personnel and assets for relatively short periods, the benefits of deploying our defence force extend well beyond rescue and disaster relief. Our military assets build confidence with neighbours through disaster relief activities. Defence disaster diplomacy might be a good way of looking at it. Due to Australia’s emergency resources, it’ll be expected that we’ll continue to take on a leadership role, leveraging our assets and expertise in the Pacific when those states are overwhelmed by a natural crisis. From an ethical and practical standpoint, as the most capable country in the Pacific Island region able to provide swift comfort when disaster hits, we’re not just going to stand by. This isn’t just a matter of being a regional good Samaritan; it’s about building trust with our neighbours. We’re now coordinating our response efforts in Vanuatu with some key partners and capable responders: Britain, France, New Zealand and the US. Papua New Guinea is sending an assessment team to Vanuatu, and Fiji is providing a relief team and emergency supplies. Other island countries may assist in reconstruction. But as Foreign Minister Julie Bishop returns from inspecting the damage, we should be thinking beyond Cyclone Pam to develop better long-term responses to future disasters that would draw in our Pacific neighbours for humanitarian and wider stability benefits. A South Pacific regional effort would provide a practical focus for growing co-operation with Suva, which has been invited back to the regional grouping, the Pacific Islands Forum, following the damaging standoff preceding Fiji’s successful election last year. Although Canberra and Suva had proposed a summit to help modernise the regional architecture, other members of the forum apparently weren’t keen, having just agreed to a new framework for Pacific regionalism. But what could be more natural than neighbours coming together to help each other in the aftermath of an extreme weather event? The forum should ensure that disaster preparedness is a key goal when they meet to decide four or five priorities for Pacific regional cooperation later this year. As disaster trends intensify, so too will demands for coordinated, regional response operations. One way to advance this objective would be for Australia to work closely with Fiji to support Pacific long-term reconstruction and community assistance capabilities. Fiji is establishing a peacekeeping and disaster-response centre near Nadi, which will be open to regional partners. Bringing together different components of disaster management — from military capabilities, civilian government assets, with non-government organisations and the private sector — to train in one facility will make a cohesive contribution to regional disaster mitigation, response and recovery.